Look up the Mega Man franchise on any Wiki or press release and you'll find the series' lifetimes sales has been resting comfortably at 28 million units since 2008. However, that number has seen a *slight* bump in the last month or so. Capcom's revised earnings indicate the franchise has sold roughly 29 million units worldwide as of September 30th, 2011, spanning across 129 games. Though not officially stated, we can assume the likes of Mega Man 9, MM10, Zero Collection, and even Operate Shooting Star contributed to this tiny bump -- all titles released within the 2008~2011 window. With 29 million units under its belt, Mega Man remains one of Capcom's key tent-pole franchises, fleshing out the "Capcom three" alongside Street Fighter (31 million units) and Resident Evil (46 million units). Monster Hunter, however, is catching up fast (19 million). In another few years, there could be some competition for big blue's spot. What the franchise could really use right now is a big seller. After all, we haven't had a platinum title since 2003's million selling Battle Network 4. It's certainly a long term goal I'd like to see come to fruition eventually. And you know, the series has the potential. Mega Man is an appealing character with a legacy to boot. All it's going to take is a top quality game that can thrive in today's market. It's a challenge, but if done right, we can achieve it. Stupid Capcom, release Legends 3 and the ratings will go higher! Or make ZX3 or a game showing X's 100 years of fighting alone during the elf wars, that'll be a excellent game! But release these games and ratings will go up! I can easily make a million unit seller, although it would be a collection. 3DS gets a BN/SF collection. The Consoles get a Classic/X/Legends compilation, with the Wii U getting the ZX family as well. All versions receive updated graphics as well as Voiceovers to take advantage of the new hardware, but at the same time leave an option to play with Old School graphics(and possibly sound). Legends and some X games would DEFINITELY benefit from new Voiceovers. Then fill each version up with concept art, promo art, official art, sound clips, old commercials. Hell, throw in the old cartoons for the sake of it. Look at Super Mario All Stars 25th anniversary edition. All it had was ported game, a somewhat lacking soundtrack, and a history book, and it sold 2.24 MILLION. Capcom could EASILY do that with a mega collection on all consoles. A million units sold over the course of three years, for a series tied to someone Capcom (who will no longer take financial risks) might be having a highly unprofessional shitfit over. For the record, RADIX, the series hasn't pumped out a title that has enough mass appeal to generate a quicker financial recovry. Like PD said, we need like one game that will nab a million. Mega Man's a Nintendo quality franchise that's worthy of Mario level sales. We need a BIG new game. @Anon3: True, but to be honest--I wouldn't put it past CoJ to drop MM and point to those sales, instead of trying to make a million-seller. After all, it's the perfect non-Inafune-related un-reason to do the former. Lackluster advertising has been an ongoing battle with Mega Man outside of Japan. They never quite got it right. >make a Classic Mega Man game with an online co-op mode akin to Castlevania: Harmony of Despair. Thanks for posting something positive, Protodude, even if this community is often too unreasonable and childish to acknowledge it. Honestly, to this day, I loved EXE4. First EXE game I ever 100%'d everything. All Chips, all Souls, All Chip Codes, All Navi Customizer parts (and variations), etc. And heck, I'm not gonna deny that I'd actually buy a 3DS compilation release of all the 6 EXE games, if they included wireless multiplayer, online, and so on. It'd be nicer if the EXE5 even used the EXE5DS versions as well, for all the added extra features and voice acting. (Hell, dual-region voice acting for all the games would be nice in general. I say dual-region because quite frankly, I'd MUCH rather have them in Japanese legally and not have to splice data together to undub the games). Okay, so if the Mega Man series has sales that are this high, then what makes Capcom think that it isn't popular anymore in the US? The Rockman franchise typically struggles outside of Japan. The X series tends to be an exception, selling slightly more overseas than in Japan, but it's not much of an exception when the Japanese sales may not even be that good to begin with. Do note that it's 129 games. With 29 million units sold, that's an average of 225k per game. Most developers would kill for those kinds of numbers, considering that Mega Man games tend to be on the low-budget side. But this is Capcom we're talking about. Look at Capcom's other franchises, like Street Fighter and Resident Evil, both of which have sold more units with only something like 30-something titles. Almost all of their games are million sellers. Street Fighter, notorious for its (development) low-budget (but high advertising budget) re-releases, still stands a decent chance at breaking the 500k or even 1 million copies sold with each re-release. Resident Evil... IIRC, about two years ago, the current Capcom chairman outright said that he and his son favored the Resident Evil series, and that he would like to see a new Resident Evil game per year. Well, guess what? Lots of new Resident Evil games ever since he showed up, and it seems more like three per year. From the looks of it, the Resident Evil fanbase isn't even looking forward to most of the new games, but their grievances with Capcom is something else entirely. Protodude even brought up Monster Hunter. That franchise is in a similar situation to the Rockman franchise in terms of popularity in Japan and popularity elsewhere. The only difference is that Monster Hunter titles are absolutely HUGE in Japan. IIRC, that PSP Monster Hunter port is currently sitting at 4+ million copies sold in Japan alone. It is currently one of, if not the most crucial franchises in the Japanese console war. There's a reason why Nintendo has gone out of its way to secure Monster Hunter's newest main entries as exclusives for the Wii and 3DS. 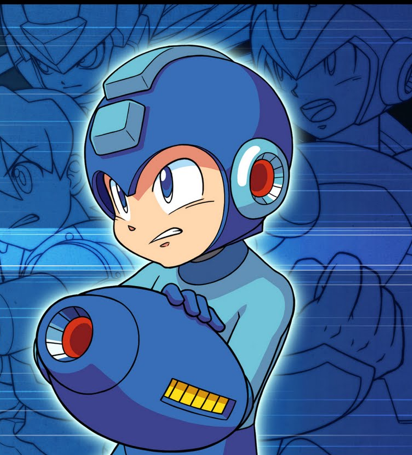 Only 4 or 5 Mega Man games to date have ever broken the 1 million mark, the two most recent being EXE 3 and EXE 4 (although Capcom won't count EXE 3 on the basis of both versions having been released months apart in Japan, despite both having far more similarities than the later version-based EXE games). And those games were released 7-8 years ago. It's not that the Rockman franchise doesn't make Capcom that much money. For them, the issue is probably more likely along the lines of the franchise not making them enough money in a short amount of time with the least amount of effort. Then there are the new IPs Dragon's Dogma and Asura's Wrath. Capcom's hopes for Dragon's Dogma currently sits at 1.5 million copies sold, which is really low for a game that is said to have been in development since... 2008? I wouldn't be surprised if Capcom is trying to funnel all available resources to this game now so that it can finally get pushed out the door. Capcom, understandably, is having a hard time figuring out what to do with MM. They already gave it a makeover! It was called Megaman Battle Network! People are able to relate to the internet. Right now, Capcom's trying to remake Megaman based on Megaman himself, not, focusing on the people they're trying to sell to. Make MMBN7, start it where MMBN6 left off with its ending. Work in MM9 and 10's RMs. Throw in the new NetNavis, animal-like, to give a juxtaposition that nods to Megaman's conundrum itself, and will get old and fans new talking about which they prefer. Allow players to choose between a TenguCross or a StormSkin. Keep him as Megaman, or apply the X.BAT. Make two versions to make it match Pokemon. Update the internet theme to match today's standards (and a little beyond), and have the plots deal with the problems of today. Like MMBN did, and so well. I just like the artistry of the idea. Any other spinoff crap I didn't mention. Now do the math. The main games for each one(Classic(10), X(8), Legends(2), Zero(4), BN(6), SF(3) and ZX(2) adds up to... 35. Now divide 29 million by 35. You get 828571 approximately per game. Pretty much every EXE fan would, actually. Considering the only other alternatives that Capcom are likely to give us either consists of 3DS e-shop re-releases of each individual EXE game, or something like OSS for all EXE games. Looking at all the Capcom Titles, some of those "# of titles" seem high, even counting multiplatform release, how is DMC at 13? Even with the new dmc, I'm counting around 9 or 10.
a) the EXE and SF games have a bad rep of being same old same old, which pretty much hurts its sales. b) there's no demand for EXE. EXE5 and EXE6 sales lagging behind EXE4 already proves that, on top of SF1~3 doing worse with each title. c) if the developers intended to end the series at 6, what makes you think they have the artistic imagination and passion to produce another one? d) what would EXE7 have that the first 6 and 3 SF games didn't? probably not much. What Mega Man needs right now is NOT small bits of fan service, we've already had enough of that. It needs a major sale that appeals to the masses and attracts a new audience in order to support its future. An EXE7 would probably do quite well, even without a nostalgia wave. All they'd have to do is just advertise it right. Keep in mind, Legends 3 was developed (WAS) because of demand for it, and because they (at the time) knew that the nostalgic fans would want it. It's not a far stretch to say that the EXE fans would always want an EXE7. Especially if it starred a new cast involving Raito and his generation, while having the original EXE cast as supportive roles. But, for added fanservice, allowing you to face them in Bonus Boss fights, too. If it had an online component, and a transformation system similar to SSR3's Noise, with a little bit of improvements upon EXE6's ideas, it would do just fine. Maybe not in the press, but it would do fantastic for everyone else who's name isn't IGN.com or G4. But I'm not sure if the development studio responsible for X's initital revival is even still around anymore. And I doubt IntiCreates wants to work on a new direct X sequel, because if they wanted to, they would have probably already made it when they could have taken advantage of the MM9/MM10 nostalgia wave, instead of starting on MMU. Anyways, sequels aren't going to get us anywhere at this point. A new series probably won't either, as it appears that Capcom has all but given up on a serious marketing campaign aimed at new blood. Or they simply don't know how to. As of late, the franchise has either been looking too far in the past, staying too long in the past, or strayed too far from the basics to self-destructive effect even halfway during development. 'Too far from the basics' is usually pretty bad when it comes to the Mega Man general fanbase, as while you'll initially get a new audience, many more are likely to skip it over due to certain unproven prejudices. Hence, what happened to SSR and ZX. Actually, I would argue right now that what we need is a ton of fanservice. Not exactly a crossover, but at least something that revitalizes all of the series. No more of this 'focus on one aspect of the franchise, ignore everything else' crap. But how does one go about doing this effectively? As stated by the earlier anon: A bigass collection with more than one series in it. That way, it guarantess purchases from the fractured Megaman fanbase(Don't bs me people, you know fans exist who hate on all other series except one. Chrono X is notorious as their leaders were supporting a BN collection during the time Legends 3 needed the support and literally the leaders said they could care less about it. THATS the hating and retardedness I'm talking about.) while possibly uniting it again. Have you *seen* Castlevania: Harmony of Despair? That's what this damn franchise needs: an all encompassing co-op conmemoration game of the Rockman franchise that mixes each series's most known quirks and gameplay mechanics, and executes them all inside a common-grounds gameplay type. There are so many good things Capcom could do. @MusashiAA: But right now they'd be seen as copycats. The Castlevania one fell under my radar, but Nintendo has literally been churning out Co-op lately and it's ones that are hard to miss because unliike Capcom Nintendo ADVERTISES. LoZ: 4 swords(which is free for DSi and 3DS mind you), New Super Mario Bros Wii, Donkey Kong Country Returns, Kirby's Epic Yarn, Kirby's Return to Dreamland. And considering most of the titles are 2D, Megaman would DEFINITELY be seen as copying, which would DEFINITELY hurt the franchise. No the franchise either needs a Mega-Collection which would be guaranteed to sell AT LEAST 1 million units, even without updates, or a new title. But they don't have the money to do a new series, and the retro wave for Classic is pretty much dead. X and/or BN may be the only other ways for Megaman to escape the situation. Look Capcom, let's be honest here. Nintendo has given you the keys to the Zelda franchise twice. both times a major success. How about we play nice and give them the keys to any Megaman they want, but on the condition Retro studios does it. After all, Metroid AND Megaman are pretty similar, and Retro has shown it can take an old franchise and give it new life twice now. And with Nintendo backing it fully, yyou'd have nothing to lose. Capcom CEO: "29 Million isn't 30 Million. The series is a drastic failure! Buy the new Street Fighter and Resident Evil remakes for 3DS today!" @Professor Megaman: Let this sink in. Mario has sold over 200 million units. Granted he has a lot more, but he still sells over 1 million each game. Pokemon has sold over 200 million. It has WAY less titles than Megaman, and is a newer franchise. Final Fantasy has sold 100 million. Sonic has sold 80 million. Zelda has sold 59 million and DEFINITELY has a lesser amount of titles. Donkey Kong has sold 49 million over 15 games. Hell PIXAR GAMES have sold more than Megaman. Metal Gear has sold 30 million, with about 22 games all together in the series. Kirby has sold 30 million over 15 games, and this number does not include Return to Dreamland. Smash Bros over 3 games sold 22 million. Metroid with 12 games has sold 16 million, although technically Other M didn't sell much so it's 11games making that number. Professor Layton has FIVE GAMES and it's sold 11.47 MILLION. I think the reason those games sell so well is BECAUSE they're nintendo's own franchises. Let me explain. Back in the NES days, there was no internet, all we had to go on were magazines and reputation by word. Since Mario, Zelda, Kirby and the like were nintendos own franchises, they received extra advertising and attention. Super Mario Bros itself was shoved down our throats since it was pretty much the best NES title available at launch. Everyone knew it was good. I personally think Capcom needs to realize that its own series will never be able to reach Nintendo sales levels (That seems to be what they're aiming for, or something) and they need to JUST GIVE US A NEW MEGAMAN GAME! @Jared: Metal Gear, Final fantasy, Pixar, Professor Layton and Sonic are not Nintendo. Sonic may be the exception, but the others literally are just plain better at sales. And most of Smash and Pokemon was with the Internet and major competition, therefore nullifying your point. The Rockman franchise should be to Capcom what Contra or Gradius or Castlevania or even Goemon still are to Konami after many years, or what Bomberman is to Hudson, or what Ratchet & Clank is to Insomniac. "It may not be a hot-seller, but it's good PR for the company to keep 'em running, at least on a gen basis, one at a time." We got a big share of DS/PS2/NGC/PSP MM games the past generation. The yearly release business model Capcom and Activision are very well-known of is what kept the Rockman franchise as the underdog of Capcom's Big 3: over 100 games in 25 years, spanning over 5 console generations, more than 20 gaming consoles, and only <30 million sold units. Burnt out franchise. Where else would you see a gaming franchise that has an average of 3-4 games with the same basic gameplay on at least one console per generation?. The constant shitting of games is what burnt out the Rockman franchise in the first place, and is exactly why it got stale on sales numbers. What do you do in this situation?. You do the exact same damn thing Capcom did for the Street Fighter franchise: wait a few years to release the same gameplay adapted to the current generation's tech, while using the same exact damn business model that burned out the franchise in the first place, only to repeat the whole waiting game all over again. I shall call this, in fear of people starting to compare us with the Sonic fandom, "the Capcom cycle". It's the process of using a game franchise and milk it off until it gets stale, wait a few years to let it refresh, and then come back to milk it off a bit more with multi-release, multi-platform and any other multi-attribute games sporting improved graphics, improved interface mechanics and the same core gameplay, until it gets stale again and needs to refresh for future revivals. The question here should not be "how did Rockman get here? ", but rather "how do we get Rockman out of the innovational rut Capcom dug it into?". Actually, it's only a financial failure when you compare it to A or AA or AAA franchises like Mario or Sonic or Final Fantasy. Resident Evil is also a financial failure only when compared to AA or AAA franchises that have sold over 50 million units. There is also the fact that the number of itinerations have nothing to do with the quality of the franchise. Sure, the more games you make with the same core gameplay, the faster you make the franchise more and more stale. That does not mean Mario games or Sonic games are of better quality. You can also talk about the fact that most of those franchises you listed usually have 1 or 2 blockbuster itinerations per generation. I'm not talking about spin off itinerations like Mario Party or Dissidia. I mean *the* main itinerations that use the gameplay the franchise is most well-known of. You know, what people call *the* games for each console (SM64 for the N64, DKCR for the Wii, FF13 for the PS3, PKM Ruby and Sapphire for the GBA). The Rockman franchises has multiple subseries and multiple games on at least one console each generation before this one, so it was (and still is) hard to point someone THE Rockman game for a given console, since there were too many of them (1=enough). This affected the overall popularity of the franchise for future gamers. There's also the fact that, out of that list you posted, every game franchise behind Kirby has less sold units than the Rockman franchise, leaving itinerations aside. I see your point, but you're underestimating the Rockman franchise when you compare them to other franchises. Even though they outsell it by at least a margin of 10 million units, the Rockman franchise is not a financial failure, because it sells. If Capcom kept churning out sequels back in the 90s and the mid 2000s, that means they only considered the overall result of a whole subseries, and not the result of a single sequel. They probably considered 300k or 600k sold units a financial success. So it's not a financial failure. The problem the Rockman franchise is dealing right now is the lack of a gameplay innovation and a overall new subseries that appeals to Capcom's known market for the franchise for Capcom to pony up. When someone at Capcom brings that to fruition, they will be more likely to release it and use it to death, much like with BN and Zero/ZX, or with SF prior to SF4. This is a bad business model, yes, but it's their game, and always has been. Personally, I'd prefer a gameplay innovation akin to what MM:PU and MM:MHX did, focused on either the most well-known subseries or the one that hasn't seen an itineration the longest, and being released on a console that is currently lacking games or has been released recently and can take advantage of its freshness (3DS, Vita, MAYBE WiiU if we can stretch it). To be quite honest, I personally given up on future MegaMan games. I still liked MegaMan, but Crapcom won't release a game of the Blue Boy anytime soon. that's why I'm sticking to series that hasn't been reduced to comics and other mechindise, Namely, Mario, Sonic, Zelda, Pokemon, Final Fantasy, Tales series, etc. Those series are the best in my honest opioion. @MushashiAA: "There's also the fact that, out of that list you posted, every game franchise behind Kirby has less sold units than the Rockman franchise, leaving itinerations aside." The formula I was going by was #units sold/# of games in series. Giving a units/game average. Layton sells at his current rate 2Million+ per games. Smash Bros 7.3 millon. Kirby is 2 million per game(Before returns to dreamland and possibly mass attack). Metroid is 1 million+units per game. They are definitely beating Megaman financially. Plus they don't c+p assets like most Megaman games. And I wouldn't bet on using the 3DS to get sales, nor the Wii U. 3DS alot of GREAT games coming over the holidays and beginning of next year, including Luigi's Mansion 2, Mario Kart 7, Kid Icarus, Resident Evil, Sonic Generations, Cave Story 3D, Metal Gear Solid 3D, TWO Monster Hunter Titles, Shinobi, Paper Mario and Tekken. And in the future, there's Zelda(confirmed), Fire Emblem, 3 Shin Megami games, Tales of the Abyss, and Smash Bros. Super Mario 3D land also just came out with VERY high scores. After the crap with Legends 3, I think 3DS owners would prefer those games over it. Plus the Wii U will have Arkham City(Most liekly a Game of the Year edition), Ninja Gaiden 3, a Mario, a Zelda, Assassins Creed, Battlefield, Pikmin 3, Tekken, Dirt. And due to GTA V's release date, it will most likely pop up as well. Oh wait, and then we have Retro(whom is currently THE studio of Nintendo) working on game that they say 'Everyone wants us to do'(Either F-Zero, Star Fox or a slim chance of Metroid), the Wii U will have Gamecube games for it's VC, AND it's going to have it's own Smash Bros. If Capcom wants a new Megaman to succeed on a Nintendo console, after what they did to Legends 3, they need to step it up big time. No more halfassing. You need to have Megaman make a recovery like Sega did for Sonic. Otherwise, once Nintendo gets all that third party support back and the library is full of quality titles, Megaman will truly be dead. You got a good point there. I have given up hope for any future MegaMan games thanks to Crapcom. the franchises you mentioned (Mario, Kirby, Metroid, Zelda, Pokemon probaly, Layton and some I can't think of) have sold well than our beloved blue boy and they always will. Hell, look at Mario, his recent game, Super Mario 3d Land is at the top of Japan's sale records according to Gamespot, I am a huge fan of Mario, don't flame me for this, I don't hate MegaMan. Kirby is doing well, so is Professor Layton even though I didn't play his games. Even Sonic's getting back to becoming one of the most loved video game icons since the days of the Genesis. I'm sad to say this, but I'm afraid MegaMan is now reduced to being a non gaming icon. Ninja Gaiden 3 confirmed as a launch title for Wii U.
I think it's officially over for Megaman on Wii U kids.